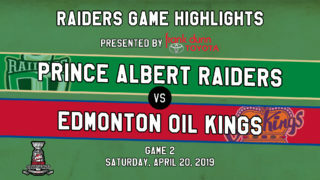 Saturday night, Prince Albert Raiders head coach Marc Habscheid joined an exclusive list of Western Hockey League head coaches. With a 6-5 win against the Lethbridge Hurricanes, Habscheid achieved the 500th win of his WHL coaching career, joining seven others to reach the milestone as well. A product of Swift Current, Sask., Habscheid’s WHL career began as a player with the Saskatoon Blades in the 1979-80 WHL Regular Season. He’d go on to spend the next two seasons with the Blades and finish his WHL playing career with the Kamloops Junior Oilers in the 1982-83 season. 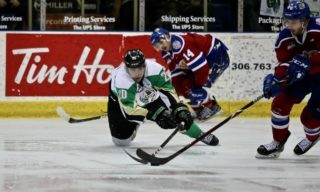 In 148 games, Habscheid developed a reputation as a scoring machine, recording 276 points (107G-169A). His production attracted the attention of the Edmonton Oilers, who selected him in the sixth round, 113th overall, in the 1981 National Hockey League Draft. Habscheid’s best season came in the year of 1981-82, where he recorded 151 points (64G-87A) in 55 games, finishing sixth in WHL scoring. Internationally, Habscheid also helped Canada win gold at the 1982 World Junior Championship. 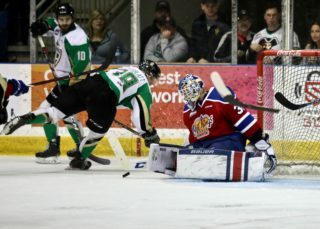 Over the next decade, Habscheid would play 345 games at the NHL level with the Edmonton Oilers, Minnesota North Stars, Detroit Red Wings, and Calgary Flames. In those 345 games, he recorded 163 points (72G-91A). After concluding his playing career with the Augsburger Panther in 1996, Habscheid caught the coaching bug. He made his WHL coaching debut with the Kamloops Blazers in the 1997-98 WHL Regular Season. Shifting to the Blazers’ rivals, the Kelowna Rockets, in 1999, he found more success in the B.C. 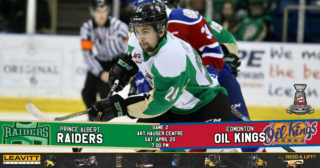 Division, leading the Rockets to the 2003 WHL Championship and the 2004 Memorial Cup. During the 2003 season, Habscheid earned the Dunc McCallum Memorial Trophy as the WHL Coach of the Year, also earning the Sofina Brian Kilrea Coach of the Year Award. After a season with the Boston Bruins as an associate coach, Habscheid returned to the WHL at the helm of the Chilliwack Bruins and Victoria Royals. At the start of the 2015-16 season, he transitioned to the lead coaching role with the Raiders. This season, Habscheid has climbed up the all-time wins list, surpassing Dean Clark, Kelly McCrimmon, Peter Anholt, Jack Shupe, and Brent Sutter. 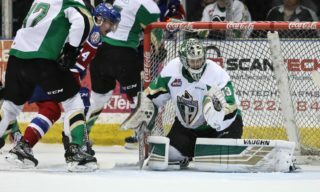 In his WHL career, Habscheid has posted 11 seasons of 30 or more victories as well as four seasons of 40 or more victories. Adding to Saturday’s impressive accomplishment, this isn’t the only milestone Habscheid will reach this season. 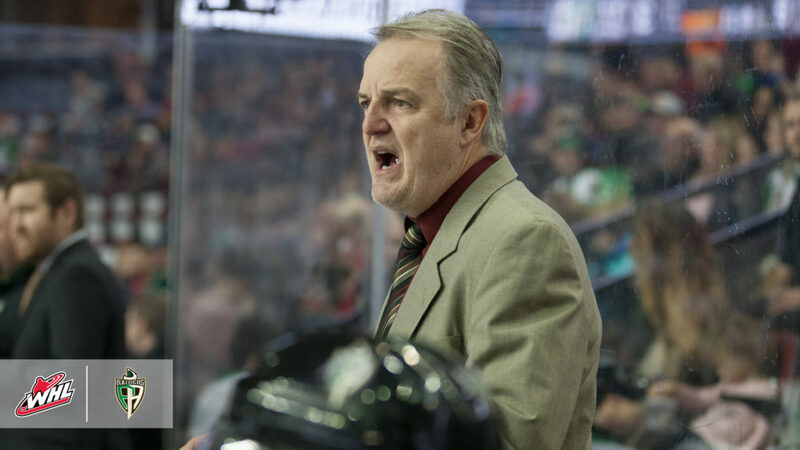 Having missed just one coaching appearance this season, due to his coaching services being utilized at the 2019 Sherwin-Williams CHL/NHL Top Prospects Game, Habscheid currently sits at 995 games coached in the WHL. With five more games coached, Habscheid will become the eighth head coach in WHL history to lead his team in 1,000 games. Don Hay still holds the WHL’s all-time coaching wins record with 750 victories in 1,364 games. Ken Hodge holds the all-time games coached record with 1,411 games. Leschyshyn gives the Hurricanes the lead with a shorthanded goal, but a PPG from Wiesblatt and Fonstad's second of the night lift the Raiders to a 6-5 victory.